If you have reached phase 4 Congratulations!!!!!! A chocolate bar one day and some bread with dinner another day is a safe place to start. Start off slow and keep an eye on how your body reacts to these strange new items. Remember these are now foreign things to your body, it will take some time for your body to get use to burning them off. By the end of phase 4 you should have both the freedom and knowledge you desire! I say knowledge because through my dieting experience, I learned not only how to diet but how my body reacts to different foods. I also learned that there are a lot of fresh items in the store that taste a lot better then junk food. After this diet I preferred grilling or steaming to frying. I also preferred items with less sugars. I found great alternatives to habits such as candy and ice cream such as sugar free. I know looking at this one word comes to mind “Yuck” but really there are a lot of brands out there that taste the same as the real thing but have no sugar. Now even though my body can probably handle a little sugar, I actually prefer the healthier alternative. With the little things we learn from what is bad for us, we can slowly become healthier people and need diets in general less and less. Maintaining your weight is important. If you go back to old eating habits your weight most likely will come right back on. Many have found that making a life style change is the solution. 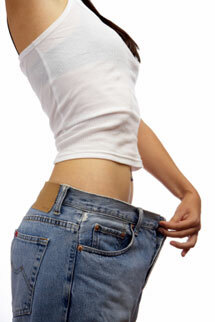 One idea for after the hcg diet is to find a eating plan that offers a healthy way of life, not just a quick fix. There are many healthy eating plans that offer just that. If you don’t mind going mostly vegan, than a plan such as a macrobiotic diet might be your answer. Eating a macrobiotic menu means you eat fresh locally grown foods. Items like whole grains, fresh vegetables, and soups will all be popular choices with a macrobiotic diet. However, if you are a meat lover this may not be the plan for you. Other plans that seem healthy are the Dash diet or even the Mediterranean diet plan. Do some research and find what works for you. There are a lot of healthy eating plans available, you just have to find one that allows foods to your liking. Lose the weight and maintain it for a life time.